Mashhoor India Arts & Handicrafts Pvt. 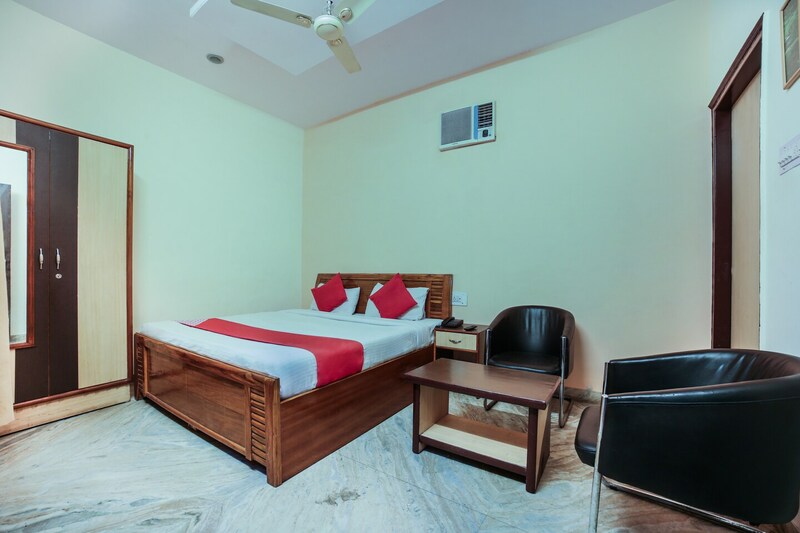 Ltd.
Hotel Dhruv is one of the most recommended hotels for people looking for a pocket-friendly accommodation option when in Jaipur. The rooms have been decorated in a minimalist manner. The notable addition to each room is the set of leather sofas that makes for the additional seating space in the rooms. A neutral palette is maintained throughout the room. Interior design involves the usage of a lot of wooden work. The additional facilities provided by the hotel are free Wi-Fi, an uninterrupted power backup source, parking provisions, CCTV cameras, card payment in all forms, and an elevator facility. There is a bar in the hotel which can be used by the guests to relax and rejuvenate after a tough day at work.